Congratulations to msmithk, giveaway winner! If you enjoy retrieving a thoughtful present from your mailbox from time to time, this is the post for you! 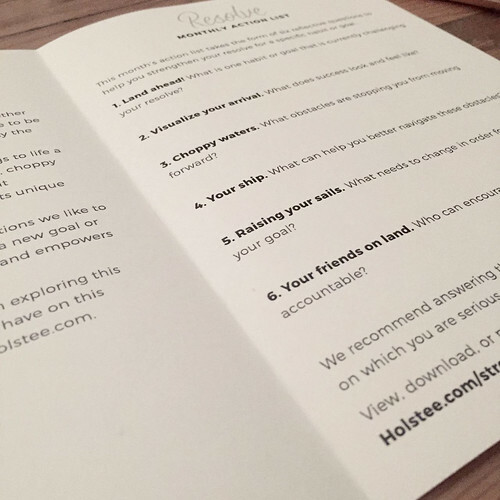 The folks at Holstee will be sending six months of their popular Holstee Subscription to one lucky commenter on this post as a way of introducing the service to All Things Paper readers. 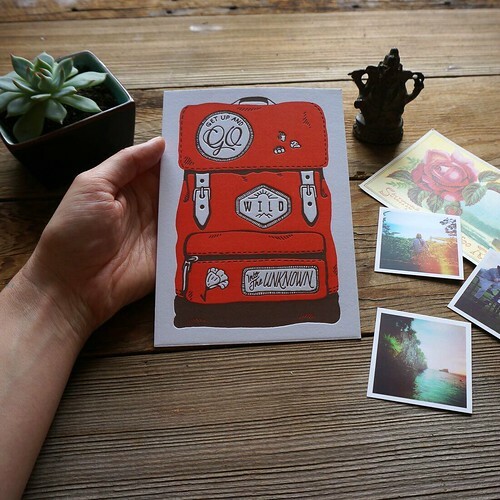 I really like the concept... subscribers receive an archival 5 x 7 inch letterpress art card each month that is display-worthy. The design includes an inspiring caption on the back. 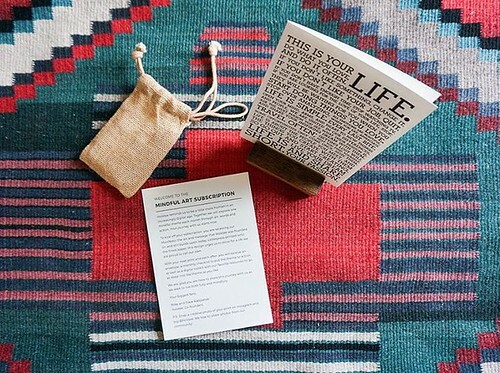 In addition, an action list of ways to live fully and mindfully will arrive along with a curated collection of articles, books and videos to aid your exploration of the monthly theme. 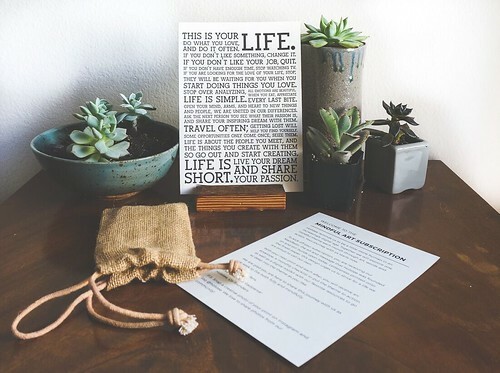 Holstee encourages the sharing of each month's artwork by mailing it at the end of the month to a person in your life who will appreciate the theme and/or is simply in need of encouragement. The included origami-inspired envelope makes it even more special to give and receive. Six or twelve month gift subscriptions are available; there is a 25% discount on an annual subscription. You may cancel at any time. 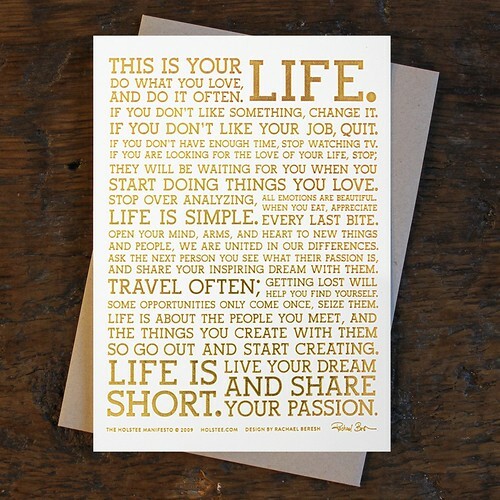 The Holstee Manifesto that started it all was written by the three founders as their definition of success. 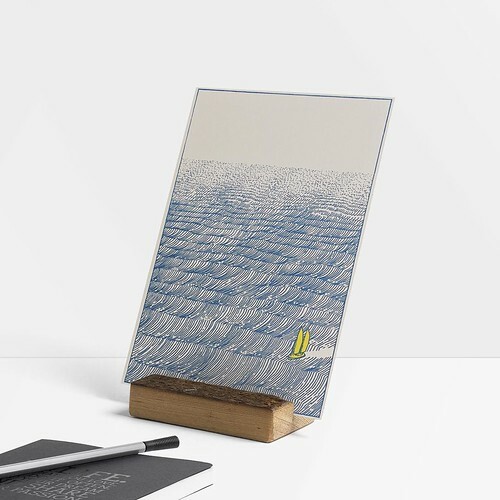 Here it is shown in gold foil, available in the Holstee shop where subscribers always receive a 20% discount. This prize is the equivalent of $72 USD. As a subscriber, you will receive your first mailing within two weeks. 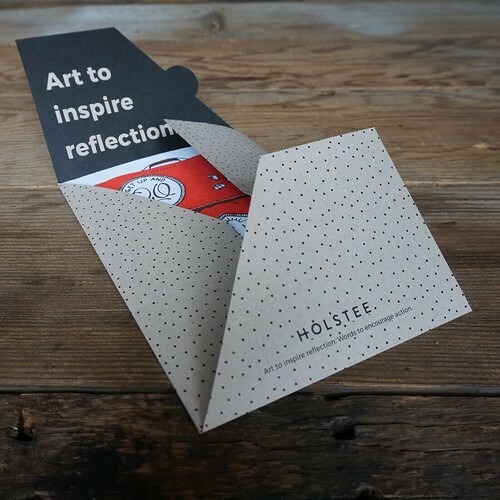 The first card is Holstee's Manifesto card... it comes with a small introduction about the monthly art subscription. Your themed mindful art will arrive the first week of the following month. To enter, post a comment below. Be sure to include a way to be contacted within your comment as Blogger doesn't allow me to see the entire comment form. If you would rather not post a visible email address, enter your comment here and send me an email at ann.b.martin@gmail.com so I can contact you if your name is drawn as the winner. If you are on Instagram, you have the option to earn an extra entry via the Instagram giveaway photo. The giveaway will run through Saturday, July 16, 2016. The winner will be announced on this post and on Instagram after she or he has been notified. Good luck! Holstee is on Facebook, Twitter, Pinterest, YouTube and Instagram. I'd love some regular inspiration, bring it on! Awesome stationery and paper goods! Wow, that looks awesome! My email address is olivia dot brubaker at gmail dot com. Thanks! My dad runs the letterpress at the print shop we both work at. I've always loved the texture that is created by letterpress, even though he tells me that a good pressman can make it print nearly as flat as offset. He's only an average pressman, haha. Love letterpress. And love the inspiration behind this. I'm in Canada where postal service is vulnerable to disruption until a new contract between management and union is ratified. An eVersion would suit me well. I learned calligraphy years ago and it still influences my handwriting. Beautiful products! Would love to be the winner and see these lovely cards in person! What a wonderful idea. Thanks for the opportunity to win. Thanks for the opportunity to win. I have a US mailing address. The manifesto poster was one of the first pieces of artwork I bought for my house! It's still one of my favorites! I definitely can use the inspiration. Thank you for a chance to win this awesome giveaway. I would love to win this! I know a lot of people (including myself) who could use motivation like this. What a unique subscription box! I absolutely adore letter-press art. It's so beautiful. These guys do great work. Manifesto is a classic. Add me to the hopeful mix! Cheers. Manifesto has changed my life from years ago, so now I'm doing what I love and doing it often. Comme d'habitude, je vais tenter sans grand espoir. merci pour ce jeu.